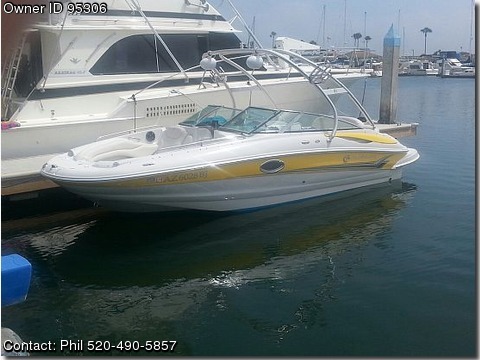 Contact the owner Phil @ 520-490-5857 or tygielpt@aol.com.2005 Crownline 220EX. Great family boat. 20.5 ft deckboat with wakeboard tower and speakers. 260 HP engine. Great for skiing, boarding, lake and bay fishing and just cruising around. Engine has been serviced every year. Boat also detailed every year. Stored indoors when not on the water.